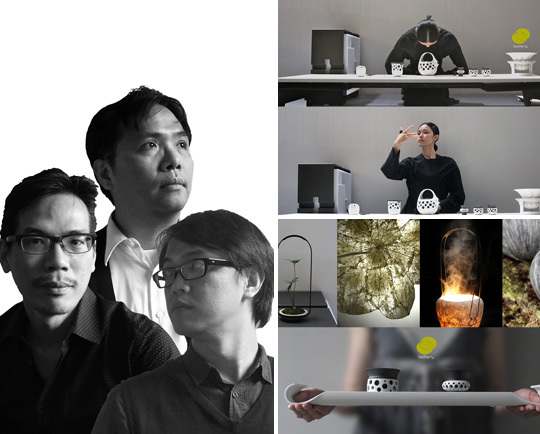 Tea Party is a collaboration by eight Taiwanese designers who work in different fields. They have come together to create Slow•flow, a new “tea aesthetic” that incorporates graphics, space, products, furniture, fashion, music and dancing into the ancient ritual of tea drinking, while preserving its classical beauty. The aim is to encourage tea drinkers to reflect on their personal thoughts in greater detail and depth as they contemplate the close relationships between people and tea implements, people and space, people and tea.